That possible reason hadn't occurred to me. I'm sure you're correct about it. Yeah, if you think about it, nobody was ever nominated for an Oscar for a role in which they played a killer. Not during the production code era. Typically, if you were a woman, you had to play a mother who sacrificed things for her children (like Irene Dunne did in I REMEMBER MAMA), a saint (like Jennifer Jones in SONG OF BERNADETTE), or a victim who overcomes evil (like Ingrid Bergman in GASLIGHT). If you were a man, you had to play a father who set a good example for his children (like Gregory Peck in TO KILL A MOCKINGBIRD), a holy man (like Spencer Tracy in BOYS TOWN), or someone who overcomes corruption (like Marlon Brando in ON THE WATERFRONT). ...Except for Ronald Colman, who murdered a lady in his film. The Broadway Melody (1929) vs. It's hard to look back at THE BROADWAY MELODY now and see why it was chosen for best picture because it's sooo dated! I guess it being the first musical film was it's draw. I do enjoy the musical numbers in it. GRAND HOTEL is so polished, by comparison or not. Out of this cast of luminaries, I think Joan Crawford gave the very best performance. King Solomon's Mines (1950) vs.
KING SOLOMON'S MINES is a beautifully shot film with all of the vastness of Africa on display. ESKIMO, in contrast, is shot in black and white, and the scenery is flat with snow as far as the eye can see. Somehow, though, it's a more interesting film to me. I thought the performances were good, too, especially for 1933. Oh yes! I knew there had to be an exception somewhere! I guess we could mention Vivien Leigh in GONE WITH THE WIND (though Scarlett does get redeemed, for the most part)...and in A STREETCAR NAMED DESIRE (where Blanche does not exactly overcome evil). The Public Enemy (1931) vs. This one isn't fair; the best vs. the best! All I can say is, I like Cagney better than Robinson as a gangster, and I like Robinson better than Cagney as a "good" character. Hard again! CITIZEN KANE ranks high on my list of repeated views, but HERE COMES MR. JORDAN is one of my favorite films. It's so smart, so funny in the right places, and dare I say.... possible. Seriously, when I was a kid and saw this film, it kind of jump started my imagination as to what can actually happen to us when we die. Great film! ANASTASIA is a nice, beautifully shot film, but to me it's stage origins could have been concealed a little better. GASLIGHT, on the other hand, is so atmospheric. You can almost smell the fog and feel the chill in the air. Butch Cassidy and the Sundance Kid (1969) vs.
BUTCH CASSIDY AND THE SUNDANCE KID is the ultimate buddy film and it's fun to watch. THE PROFESSIONALS has some unexpected twists and just good performances all around. I don't know which one I think has better cinematography, but I like the latter film better. It's interesting how viewpoints differ. For example, I prefer the 1940 British version of GASLIGHT. Walbrook should have been nominated that year. And I think Diana Wynyard gives a much more well-rounded performance as the wife. Bergman is overwrought, too obviously showing off her acting skills, instead of playing the character in any realistic or subtle way. I don't mind the staginess of ANASTASIA, since I think those characters are meant to be putting on an act. In that case, it works for Bergman to be a touch theatrical. Helen Hayes is fantastic as the grandmother. I like the 1940 GASLIGHT, as well. I love Diana Wynyard in it, too. I also like Ingrid Bergman's Paula. I can think of at least three films in which Anton Walbrook should have been nominated for best actor and wasn't. I read somewhere that when MGM started production on the 1944 version, they tried to have all the 1940 prints destroyed so no comparisons would arise. Thank goodness they didn't get them all! The Human Comedy (1943) vs. I usually don't care for Mickey Rooney, but I liked him in THE HUMAN COMEDY and the supporting cast is really good. From Here to Eternity (1953) vs. I like almost everything about FROM HERE TO ETERNITY except....the military romance! I like the Donna Reed/ Montgomery Clift pairing, but I don't care for the Burt Lancaster/Deborah Kerr story line. I really dislike the famous ocean shore scene and it's dialogue about adding machines. In A FAREWELL TO ARMS, Gary Cooper and Helen Hayes have good chemistry, and their story is sweet. A nice, simple film; very easy to watch. Yes, Walbrook gave several Oscar-worthy performances. Thank goodness the original 1940 version of GASLIGHT survived. I'm a fan of SKIPPY. Jackie Cooper's performance is just so pure. His acting would become a bit more affected in subsequent films. But in SKIPPY, his first picture, there's something very special going on. A short time later Paramount turned out a sequel called SOOKY, but I've never seen it anywhere. The Great White Hope (1970) vs. I'm not really a fan of Boxing, so I kind of lose interest in the parts of films that actually take place in the boxing ring. The stories in both of these films were great, though. I give a slight edge to SOMEBODY UP THERE LIKES ME, because even though it was fairly early in Paul Newman's career, his character was a departure from his usual cool guy image he had in most of his other films. The score of FOREVER AMBER is more memorable to me at the moment because last night was the first time I saw the film. It is indeed very pretty. The score from SEPARATE TABLES, though, is a beautiful one which completely compliments the mood of the film. Enjoying your daily observations. Will be sad when it ends soon! Thanks! I refer to it as my daily ramblings. 😄 It's been fun trying to pick a favorite from just two films. I hope they have a similar type of interactive challenge next year. HUGO is a nice fantasy film with some nifty camera work. I think I like this film better because it has silent-era films as a centerpiece. I like 2001 for it's use of classical music. The special effects are ahead of their time. 'Baby Doll' is such a classic fille fatale Drama. 'Giant', what can I say? Its a great book adaptation. Plus is one film my parents will always say they love Ms. Taylor in. 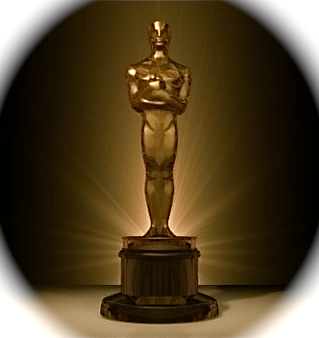 Can you believe 31 Days of Oscar is nearly over this year? It went fast! TCM did an really good job this year with their Oscar theme schedule. I think their Oscar schedule of 2012 would probably be my most favorite. I'm watching Baby Doll now. Never seen it until now. Great movie and holy cow this had to be considered pretty risque for the time wasn't it?? Tons of innuendo in this movie. Funny too.